You’ve got to applaud Ken Loach. He’s 79 years old, one of the oldest working directors in the world and certainly the senior auteur in Britain. Loach doesn’t change. Audiences come to him; he doesn’t seek them out. A radical his whole life, he refuses to compromise. And that’s likely why he’s still making movies decades after so many others have retired. Jimmy’s Hall is a classic Loach tale. The director who suggested that Mrs. Thatcher’s funeral should have been privatized and sold to the lowest bidder in homage to her fiscal policies has always been drawn to lost causes and revolutionary sensibilities. Perhaps that’s why he’s won five awards at the Cannes film festival—the French love to see a Brit who is drawn towards the underdog. That’s certainly Jimmy Gralton, the man who runs the hall in his new film. 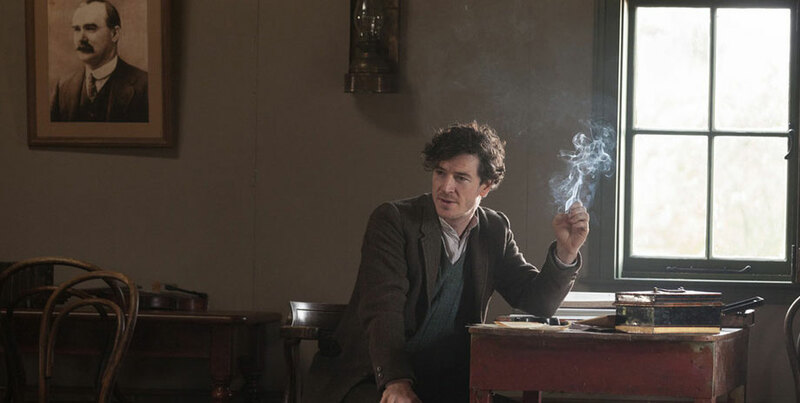 Jimmy’s Hall, which premiered at Cannes but won no awards, is an account of a genuine radical, who ran the Revolutionary Workers’ Group, a precursor to the Irish Communist Party. Jimmy was also reputed to be a member of the IRA although they aren’t specifically named in Loach’s film. 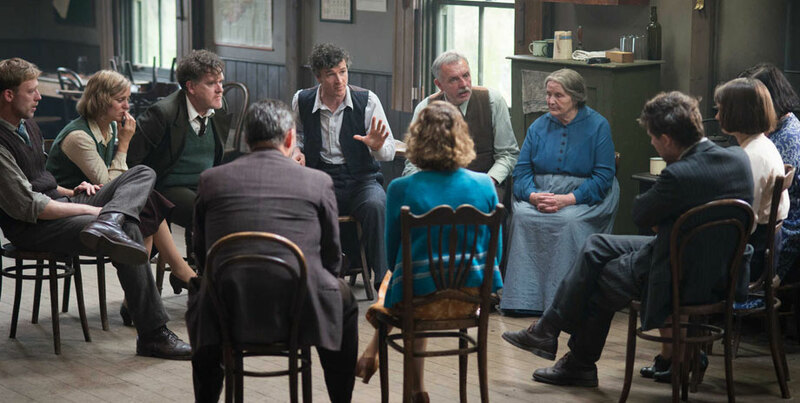 Jimmy’s Hall isn’t a documentary but the events depicted in the film are based on what really transpired in Ireland in 1932, when Gralton returned to County Leitrim, to help his mother with the farming. His mother and old friends receive Jimmy with affection as the film begins but one immediately senses that there’s much tension in the air. Loach and his long-time writing collaborator Paul Laverty quickly let us in on what happened in the past—and in Ireland, there seems to always be a past. 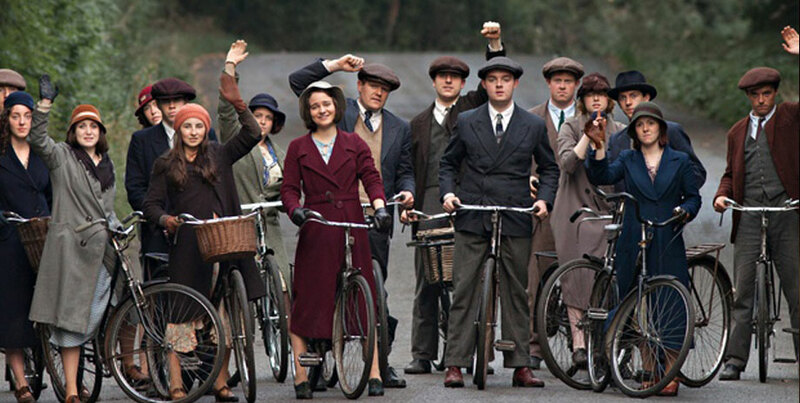 In 1921, Jimmy had built a hall, where progressive forces—farmers, unionists, teachers–in the new Irish republic spent time together, in educational groups. 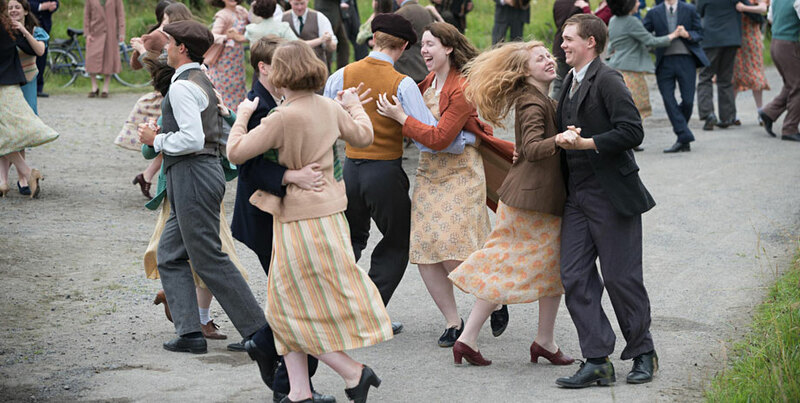 They held dances and social events but they also took a position against the new Irish state, which had compromised with England, giving up Northern Ireland, while organizing around conservative lines. Jimmy was threatened with violence and fled to New York, where he had been living since 1909. Back in Ireland, it doesn’t take long for Jimmy to assert his old ways. Asked by a young woman named Tess and several of her mates to revive his dance hall, Jimmy quickly rebuilds the old place with the help of friends. Soon, he’s teaching the young Irish lads and lasses how to dance to jazz music. And, of course, he and his friends start talking about the rights of workers and the poor conditions for farmers in the Great Depression. This immediately raises the ire of the local priest, Father Sheridan and the right wing troop Commander O’Keefe, whose daughter Tess is enjoying “sinful” jazz dancing. They turn into formidable enemies and despite Jimmy’s attempts to be nice to the authorities, it becomes clear that violence is brewing. Although Jimmy once again survives, he finds himself deported from his homeland to America, where he is a citizen. Jimmy Gralton is the only Irishman ever deported from his country, a rare and tragic distinction. Loach’s film is well crafted and there’s something wonderful in seeing a confrontation between Catholic priests and Communists after so many years have passed. Jimmy and Father Sheridan respect each other as rivals and even understand that they’re opposite sides of the same coin: two people obsessed with changing the world to their own beliefs. Jimmy’s Hall feels a bit like a sketch for a fuller drama. It’s interesting but not as moving as it should be. Loach has done far better before and one can only hope that he’ll do more intriguing work in the future.